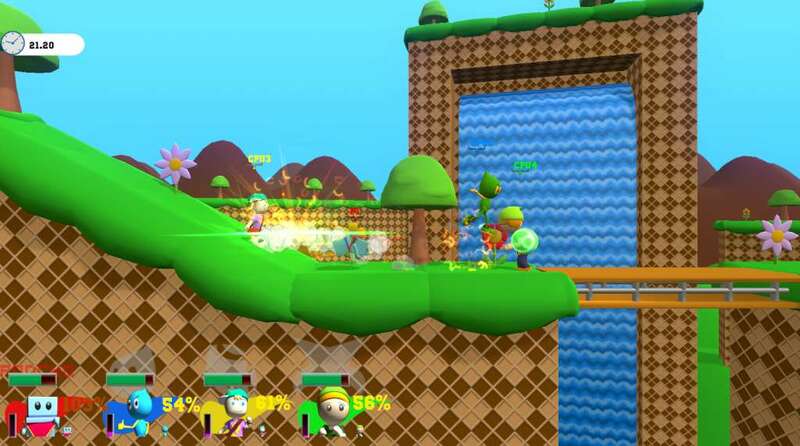 Indie Game Battle is a multiplayer fighting game for up to 8 players inspired by the Super Smash Bros series. However, IGB features indie characters instead, and the game is open for all suggestions! 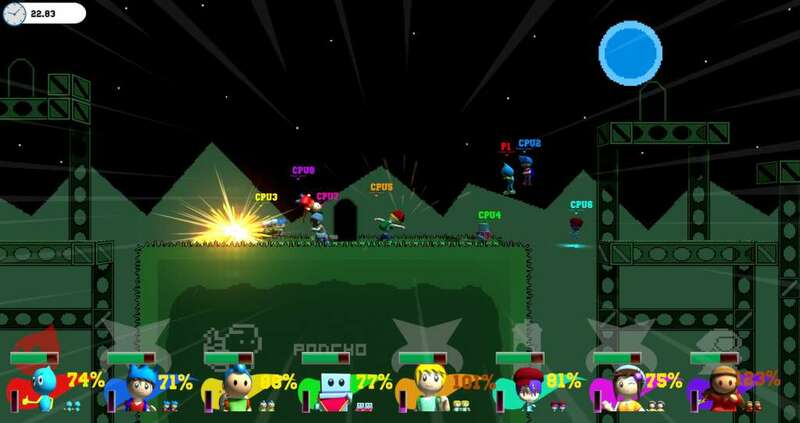 Indie Game Battle plays much like our very own version of Smash Bros. However, some core differences are the team-based gameplay, the status effect system, and the PP meter. 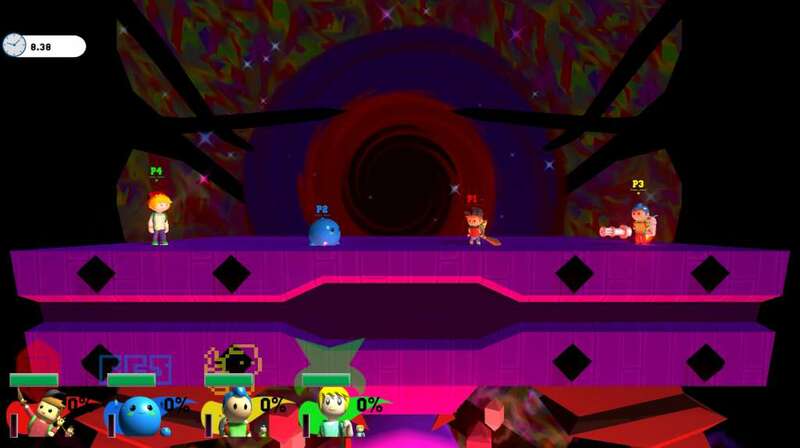 IGB is intended to work especially well with team battle, which few other Smash Bros or Smash Bros-like games have put the same amount of focus upon. It works just as well with free for all and 1v1 matches, but some movesets and mechanics are designed to work in teams and create new strategies you may not see elsewhere. If you believe team battles aren't popular enough in other games, IGB could be the game for you! The PP meter decides how much you can use certain moves on some characters, and the bar will refill over time. Maybe the move is especially powerful and therefore uses the PP bar to simulate a cooldown? Some characters depend on having PP left for using some of their moves. Using this wisely can win you the battle! 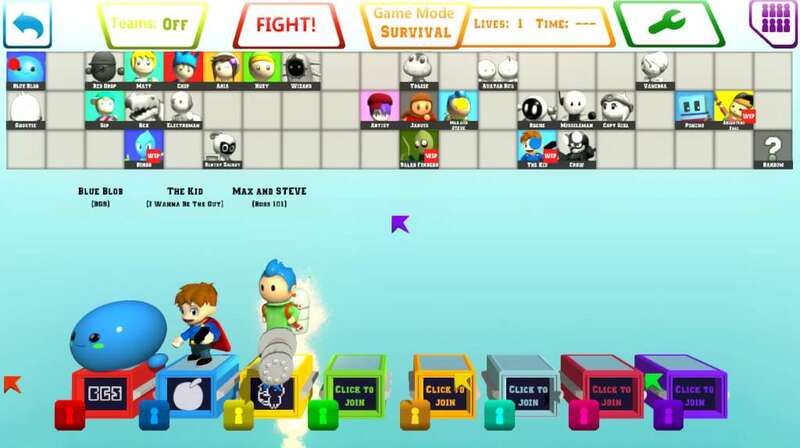 The status effect system makes Indie Game Battle more based around strategy. Sometimes, only hitting your opponent enough isn't the best strategy to beat them. Some characters can cause fire damage, poison opponents, drain them of the PP they need to use certain moves, slow down their movement speed, and more. Making your opponent disadvantaged and exploiting their weaknesses can turn a battle around! 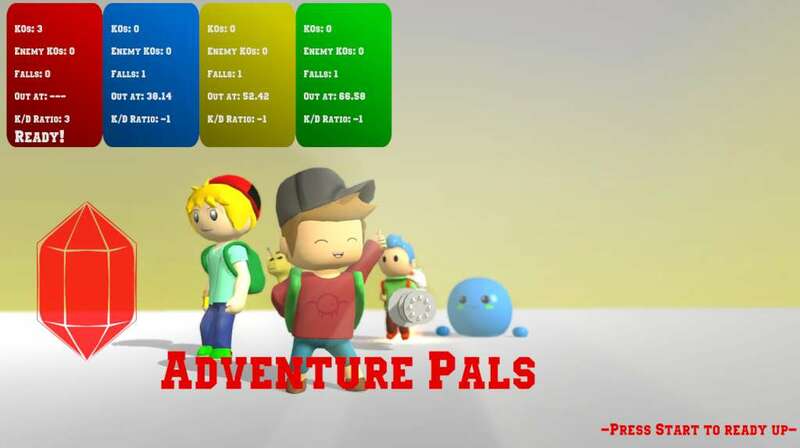 IGB features lots of playable characters from various indie games. Each character has their own unique moveset and special moves. Later on, we aim to have a roster of 60 characters or above, too! Over 10 stages to fight on. 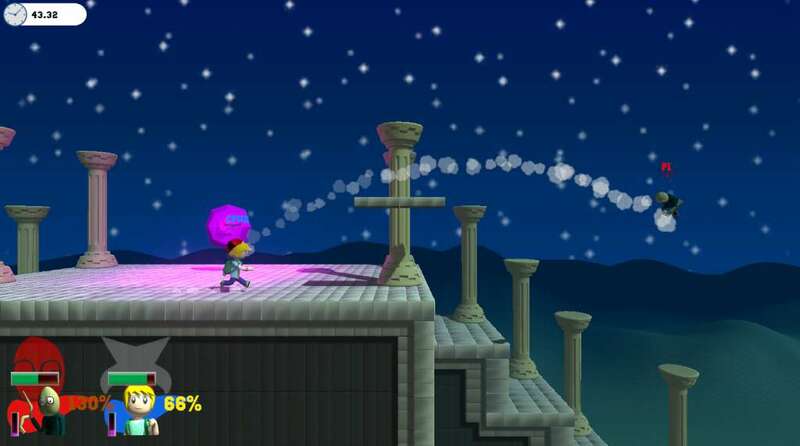 Each stage has a different design, different music, and different hazards. Various gamemodes. Right now the game only has one, but later we expect to add several more to keep the game fresh! Lots of settings! You can tweak settings to suit the way you prefer to play the game. Turn off healthbars or the damage percentage if you wish, toggle super attacks on/off, enable damage text, and more. You can even toggle things like stage hazards on/off, too! Competitive mechanics such as wavedashing, l-canceling, and more to discover! A story mode, featuring levels from the games involved! The story mode will come in a later part of development once we got the base game working best possible! Lots of third party indie games! IGB includes the games we at Blob Games Studio are developing ourselves, but lots other indies can join in, too!